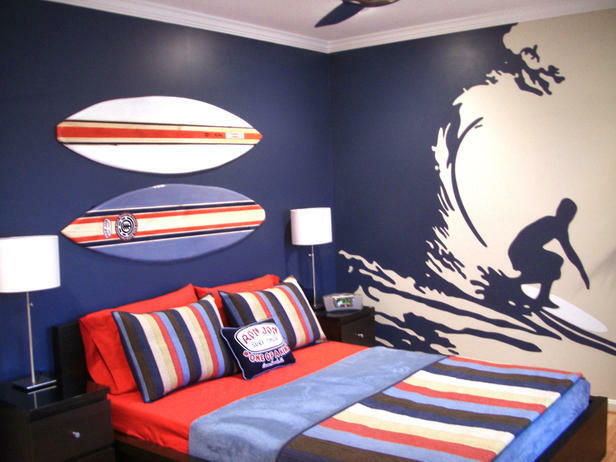 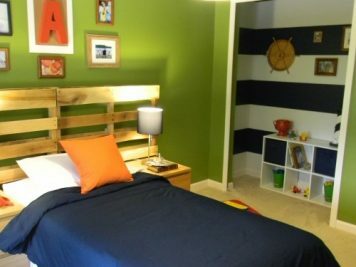 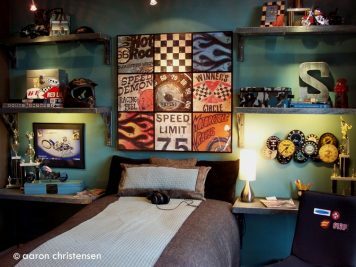 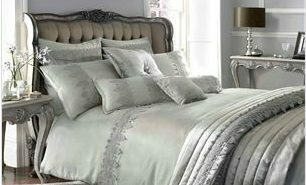 For anyone who has a teenage boy, the idea of a teenage boys bedroom will probably whip up visions of dirty clothes heaps, corroded gadget bits, and the distinct aroma of two week old socks and mouldy dinner plates. 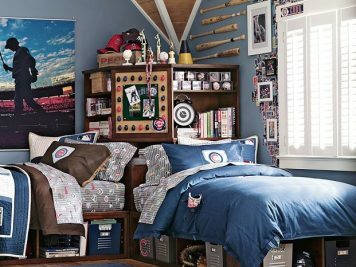 Yes, these young man caves can be a little grim, so lets give them a freshen up! 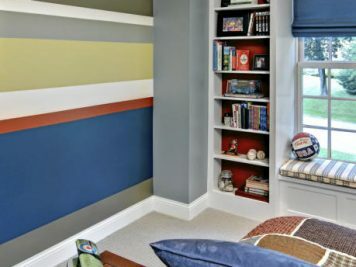 Storage is key; ok, getting them to use their storage places is another matter, but if you have provided enough concealed cupboard space for stowing away their junk, and sturdy shelving to keep school books safely off the floor, then you know for sure that they have no excuse for that pig-sty-chic look. 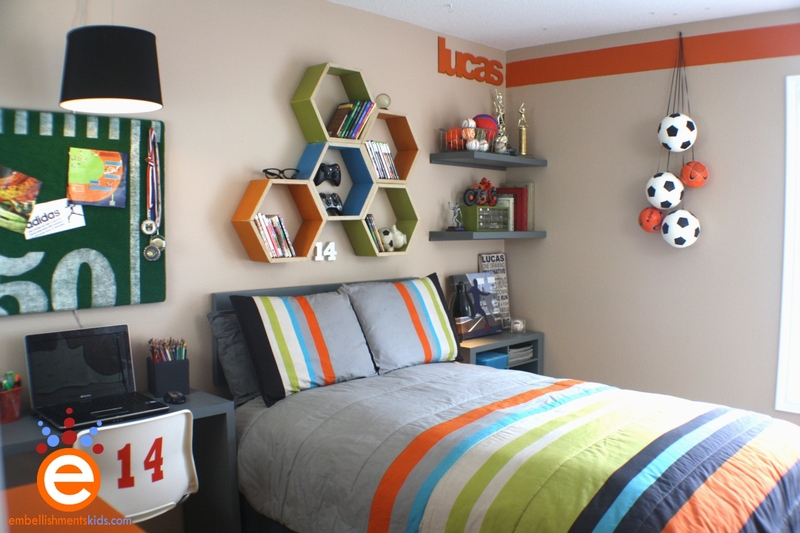 Think outside the box when it comes to bedside tables; in a small room, a simple space saving shelf might be best for the job, but if you have the room you could try utilising that old toy chest which still provides a great hideaway for stacks of sports gear, or an old drum from that absolutely got-to-have-it kit that now sits under an inch of dust. 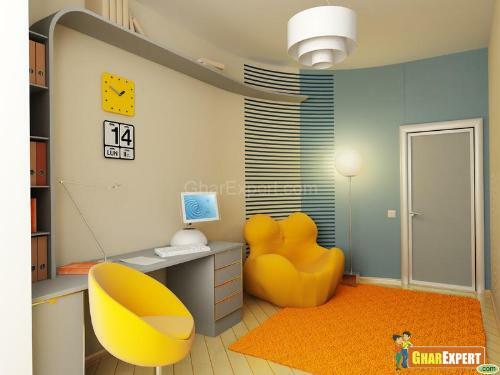 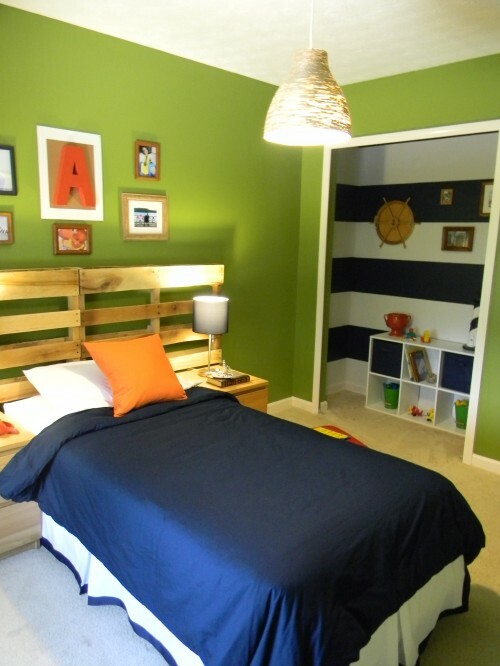 When it comes to colour choice, blue and green are always going to be popular for teen boy rooms, but try brightening the combination with a blast of orange or yellow, a citrus tone will inject a vibrant current through the space and lift darker hues. 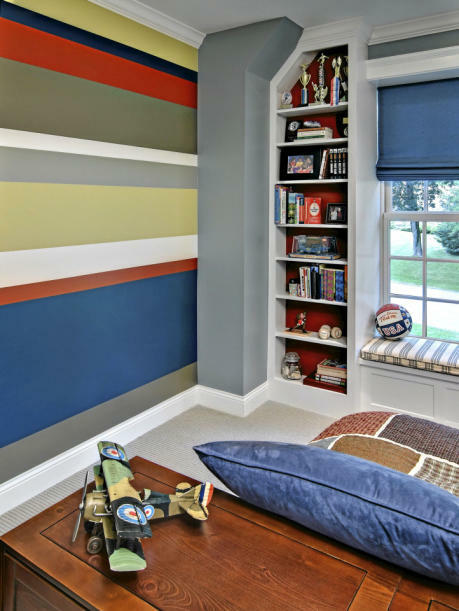 Stripes are a brilliant way to weave a multicoloured masculine scheme, but you could also hang some cool artwork, a statement clock, and throw a couple of bright beanbags in there–ideal for slouching in front of the Xbox or PlayStation… or when studying of course. 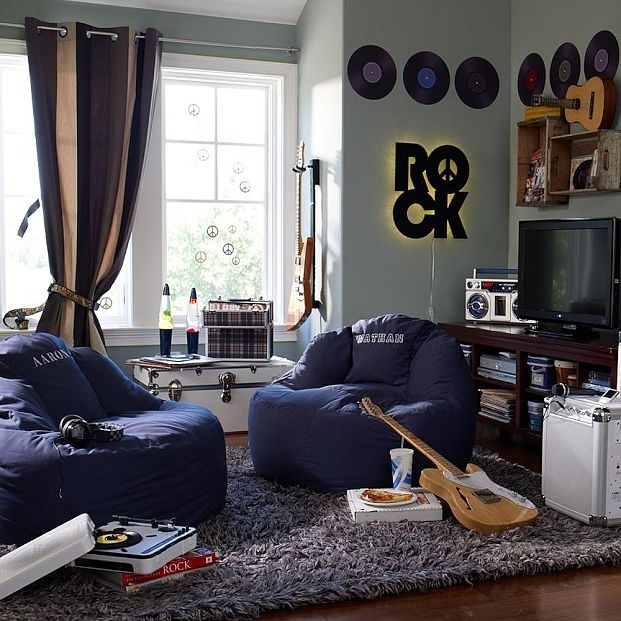 All you need to do now is evict the moody mister from his bedroom for a bit, so that you can transform that teenage pit into a hit! 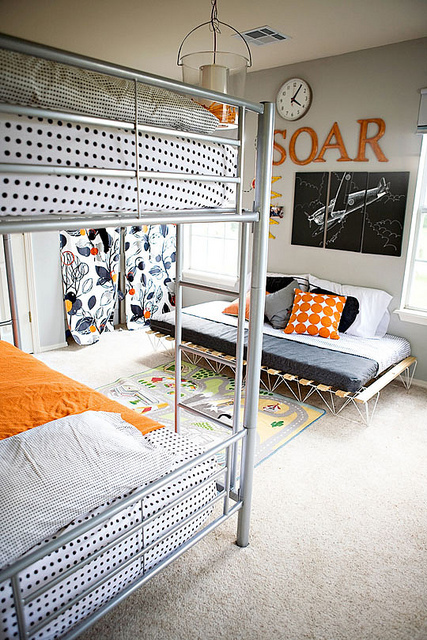 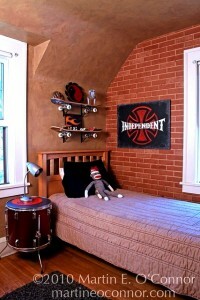 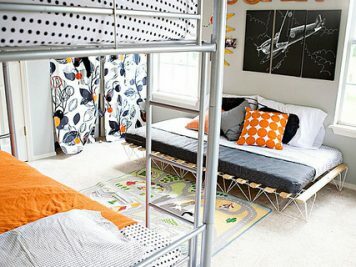 Have you had a successful teen room makeover? 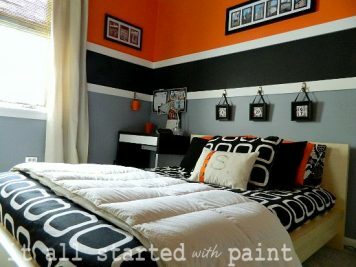 Upload some pics using my easy Submission Form! Your ”Introduction” is VERY true—–I wish you’d been around when my sons were teenagers!! 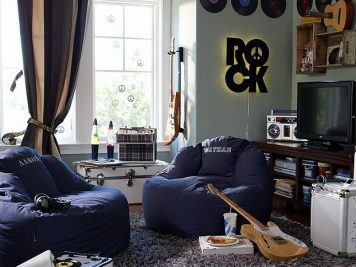 !Some very good ideas. 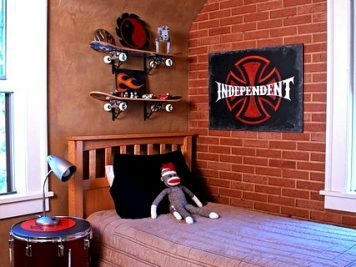 I LOVE the idea of creating shelves using skateboards….some of the ideas you give us seem so practicle if you just think outside the box! 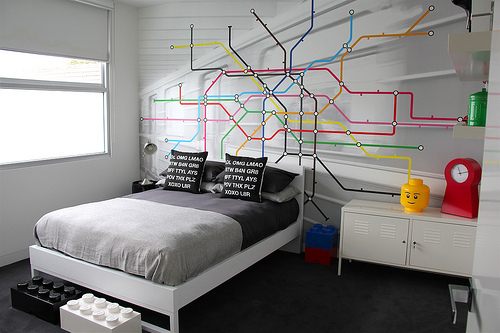 Well played !